Shhh! You’re a stationery addict, right? If I had a pound for every time I met with a Client who needed help to clear their cluttered workspaces, who admitted to having a penchant for stationery, I’d be a very rich person by now!! 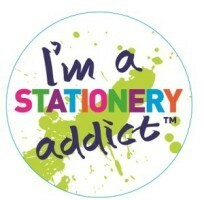 Who doesn’t love a bit of stationery shopping on the high street? With the rows of organised books, pens, colours, rulers and so on, it would be easy to fill as basket with one of everything ‘just in case’. Buying new stationery is like starting things over again with yourself. The clean sheets of a new notebook. The sharpness of a new pencil. The crispness of a pack of brand new post-it notes. 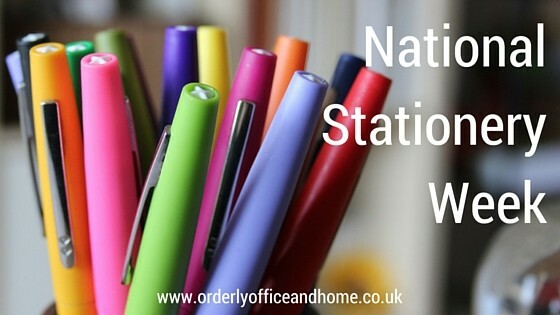 It amused me to find out that there’s such a thing as National Stationery Week happening from 25 April – 1 May 2016 – celebrating all things related to the written word! Just a bit of promotional fun and games to be honest, from the major producers of these lovely things, but of course they’re subliminally encouraging you to go and treat yourself to another new notebook or pen. Whilst I have absolutely no problem with that whatsoever, I’d just ask you to do a little stock-take of what you already own before you create desk clutter and go to splash the cash on that ‘must-have’ from Paperchase! 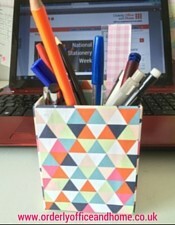 Empty out the contents of your pen pots/desk drawer/kitchen ‘stuff’ drawer – wherever it is that you store your stationery. Make a note of what you need to replenish and shop for that only. Only put back into your usual places the items you use regularly. Everything else can be stored out of the way. I’ll leave you now to get re-acquainted with your pens. But if you’re after 5 minutes of fun, take the NSW quiz to find out what stationery item you are. Apparently I’m a biro! 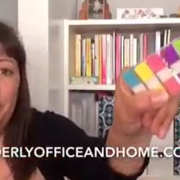 And if your workspace needs more than a quick pen and paper re-shuffle, do get in touch to see how I could help you be more productive in your day to day activity.